By telling us about yourself we can make sure you see content that is relevant to you. You can add your new content here. What can the BMF do for me and my company? The BMF can offer many benefits no matter what your job role is. Sometimes you need to talk to a real person before deciding if joining is right from your company. We can give you a call to discuss. The BMF runs a wide range of training and skills development for employees of merchants, distributors and suppliers, from yard staff to company directors. Training ranges from online product knowledge to specialist skills training. 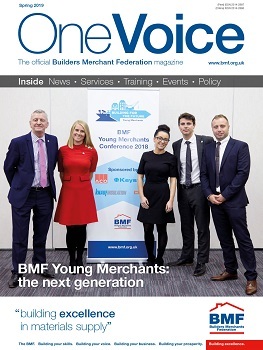 BMF publications include One Voice magazine, Builders Merchant Building Index (BMBI), Plumbing & Heating News, Timber Forum News, Remuneration survey, KPI report, Business News and CPA Weekly notes. The BMF has a wide range of events, forums and regional meetings to enhance networking opportunities. Tanni has performed at world class level in distances ranging from 100m to the marathon and has competed in every major international event. She has won 15 Paralympic medals, including 11 golds and six gold medals in the London Marathon. Together with her comprehensive set of British and World records, this makes her achievements second to none in the disability sport arena. 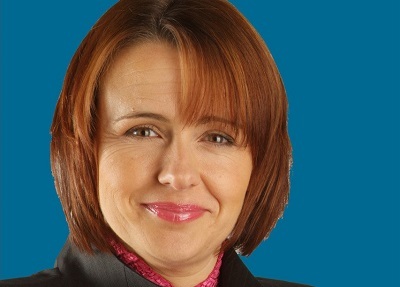 In the build-up to the 2012 Olympics Tanni was vice chair of the athletes committee and sat on the Diversity and Inclusion committee which looked at recruiting a diverse range of Gamesmakers / team members. She also played a key role in the planning and sustainability of the infrastructure and buildings to ensure a long term benefit to the local communities after the games were completed. Her work in the administration, management and politics of sport has resulted in a much higher profile and improved access for sports for people with disabilities. One of her greatest achievements must be in making people more aware of disability and what can be accomplished with will-power and sheer determination. 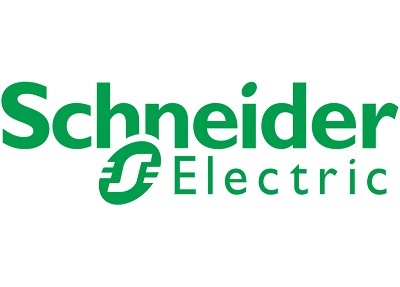 Schneider Electric, the global specialist in energy management and automation has joined the BMF. 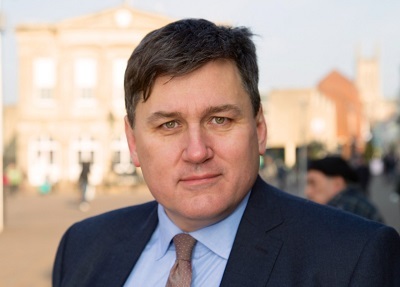 Kit Malthouse MP, Minister of State for Housing, will speak at the BMF Members’ Annual Conference on 19 September 2019. Mr Malthouse is responsible for housing & home ownership and planning & development in England. Specific policies such as Help to Buy, affordable & social housing, Building Regulations and the National Planning Policy Framework come under his portfolio. He is the minister tasked with increasing the housing supply to fulfil his Government’s pledge to build 300,000 new homes a year by the mid-2020s. The BMF Members Annual Conference and black-tie Awards Dinner takes place on 19 September at St George’s Park, Burton on Trent, the home of England’s national football teams. The BMF’s annual Golf Tournament will be held on the previous day, 18th September at the newly-opened JCB Golf and Country Club. The BMF thanks our Members’ Conference headline sponsor, Encon Insulation, and Marsh Industries and JCB, sponsors of the Awards Dinner and Golf Tournament. Kit Malthouse MP, Minister of State for Housing, will speak at the BMFMembers’ Annual Conference on 19 September 2019. 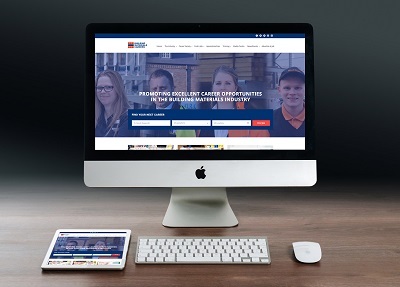 The BMF has launched Building Materials Careers, a new, improved website to encourage more people to join the building materials sector by highlighting the wide range of careers available both in merchant and supplier businesses. The relaunch follows policy research with members who told the BMF they wanted the Federation to help promote the widest possible range of job opportunities in the industry, fostering diversity and inclusion, helping members to recruit a workforce from a wide range of backgrounds and experience. As part of the BMF’s bold new strategy, unveiled at its annual Members’ Day Conference in September, attracting and developing talented people in to the industry will continue to be a main strategic goal. The website - www.buildingmaterialscareers.com - promotes apprenticeships, life-long learning and gives members the opportunity to manage their job advertisements free of charge using the ‘Advertise A Job’ facility. Potential apprentices and employees will then be able to easily locate these roles, using the region, sector and location search filters. The website features merchant and supplier employees’ video profiles . Each profile explains how they came to work in the materials supply industry and what they like about their specific job. Job seekers will be inspired by the range of career opportunities available to them in the building materials industry, no matter what educational qualifications they achieved at school or university. The site also highlights the BMF’s Ambassador programme, and explains that schools and colleges can invite someone working in the industry to share their experience at careers events. The BMF has launched Building Materials Careers, a new, improved website to encourage more people to join the building materials sector. The BMF led a fact-finding visit for its counterpart trade bodies in Belgium, Spain, Portugal and several merchants from the Iberian peninsula as part of an initiative to promote wider understanding and best practice between builders merchants across Europe during BMF CEO, John Newcomb’s term as President of UFEMAT, the European Association of National Builders Merchants Associations and Manufacturers. Representatives from eight European organisations took part in a 3-day field trip hosted by BMF Chairman, Peter Hindle MBE, John Newcomb and the BMF’s Event Manager, June Upton. Delegates were briefed on the UK market during a visit to the BMF’s HQ in Coventry before attending the Roofing Cladding and Insulation (RCI) Show at Ricoh Arena. 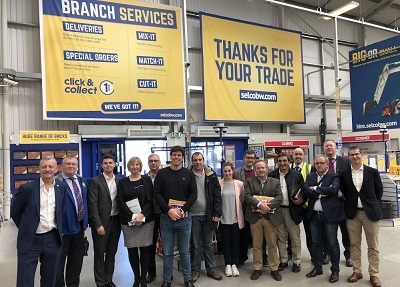 The group also visited branches of two merchants, Selco Builders Warehouse, which has 66 trade-only branches across the county, and EH Smith which serves both trade and DIY customers from 12 branches in the midlands and south east. They were able to hear directly from the branch manager and directors of both operations about the opportunities and challenges faced by UK merchants and the business models they have adopted. The BMF has now been invited to speak at the Congress of the National Association of Distributors of Ceramics and Construction Materials in Spain later this year to share best practice with a wider audience of their members. The BMF led a fact-finding visit for its counterpart trade bodies in Belgium, Spain, Portugal and merchants from the Iberian peninsula to promote wider understanding and best practice between merchants across Europe. The BMF has announced plans to further professionalise training within the building materials supply sector with the launch of its own training brand, the BMF Learning Academy. The newly updated BMF Diploma in Merchanting Management and the BMF Foundation Degree in Merchant Management awarded by the University of Hertfordshire will be flagship BMF Learning Academy Courses. 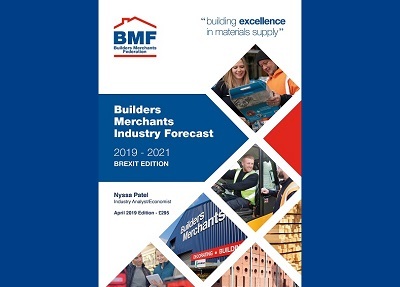 In line with the BMF strategic aim of developing a forecasting model specifically aligned to the UK merchant sector, the BMF has published the first edition of the Builders Merchants Industry Forecast, covering the period 2019-2021. The BMF’s new forecast model has been developed to support members in future planning by providing consistent updates on forecasted industry sales. The data will be updated on a quarterly basis. The initial report is a special Brexit edition and includes forecast results based on both a soft and hard Brexit. 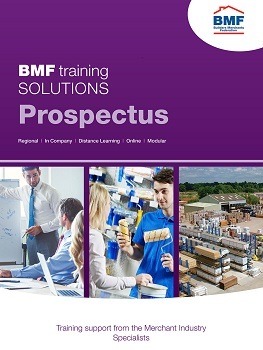 The report and quarterly updates will be supplied free of charge to BMF members. The Builders Merchants Industry Forecast will also be available for others to purchase, with the initial report priced at £295. The BMF’s econometric forecast model was developed with the support and assistance of the EU KEEN project and Dr Erez Yerushalmi, Senior Lecturer in Economics at Birmingham City University. The model uses accurate sales data from the Builders Merchants Building Index (BMBI) as the main sales variable coupled with other key variables to forecast what is likely to happen in the next 12 months and beyond. BMBI data is collated monthly from 80% of generalist builders merchants sales throughout Great Britain and analysed by research company, GfK. It is the most accurate sales date within the construction industry. Builders merchants sales are affected by a number of internal and external factors relating to the wider UK economy. During development over 20 other variables were tested to analyse their correlation with the BMBI. The final forecast model is based on the five variables that indicated the highest level of correlation with builders merchants sales, namely: Repair, Maintenance and Improvement, Weekly Household Income, Season, All New Work, and Number of trading day (per month). Within the model, variables are forecasted using an Auto Regressive Integrated Moving Average (ARIMA) model, which is ideal for analysing time series data. In addition to detailed forecast results and analysis, the Brexit edition of the Builders Merchants Industry Forecast includes merchant industry insights and wider economic indicators. 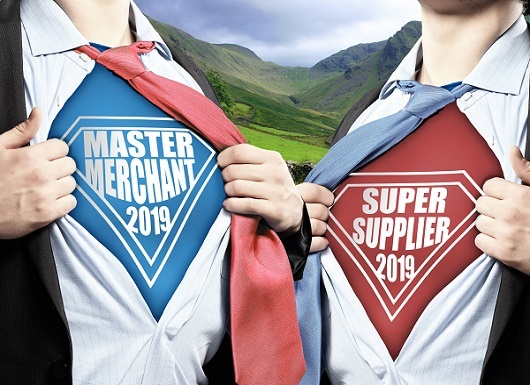 The BMF has published the first edition of the Builders Merchants Industry Forecast, covering the period 2019-2021. 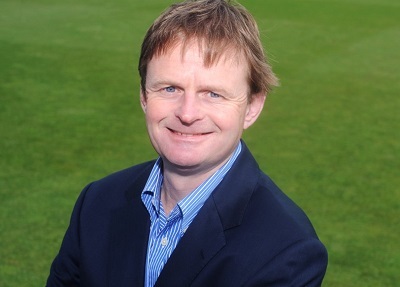 Michael Caulfield Msc, one of the UK’s leading sports psychologists who has worked with England football manager Gareth Southgate, as well as teams and players in both the Barclays' Premier League and international and domestic cricket, has been confirmed as a headline speaker at the BMF All-Industry Conference in June. Michael has worked in professional sport for over 25 years. As a registered performance psychologist with the Health and Care Professionals Council he currently supports a number of teams, organisations, coaches and athletes in elite sport and has wide experience across many sporting codes. He was formerly the Chief Executive of the Professional Jockeys Association and this balance of experiences gives him a unique understanding of the performance requirements of both his business and sporting clients. The BMF also announced a slight change to the speaker programme. The Institute of Directors will now be represented by Edwin Morgan, Interim Director General for External Affairs. Edwin has a remit to foster a climate favourable to entrepreneurial activity and wealth creation. His team of policy experts also represent the interests of IoD members to government. As such his is ideally placed to present the IoD’s view on how UK businesses should be supported through the Brexit transition and beyond. 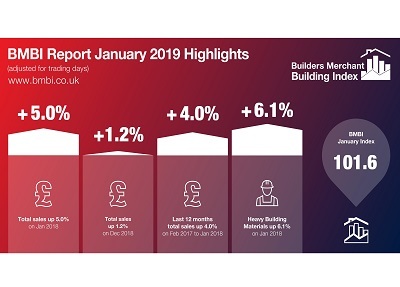 Total Builders Merchant value sales were up 5.0% in January compared with January 2018. Four categories did better, including the two biggest: Timber & Joinery Products (+6.2%) and Heavy Building Materials (+6.1%). Plumbing Heating & Electrical (+2.8%) and Decorating (+2.7%) were among five categories that grew more slowly and Workwear & Safetywear (-4.9%) was one of three that sold less. The Builders Merchant Building Index (BMBI) tracks builders’ merchants’ actual sales to builders and contractors using GfK’s Builders’ Merchant Point of Sale Tracking Data. The BMBI represents over 80% of the value of the builders' merchants' market. Visit www.bmbi.co.uk/the-index to see the full January 2019 report. Read trends, analysis and industry issues from our panel of construction industry experts. Source: GfK Builders' Merchant Point of Sale Tracking Data July 2014 - January 2019. Total Builders Merchant value sales were up 5.0% in January compared with January 2018. 4 categories did better, including the two biggest: Timber & Joinery Products (+6.2%) and Heavy Building Materials (+6.1%). The BMF has confirmed the final speaker line up for its popular Industry Forum debate at this year’s All-Industry Conference. 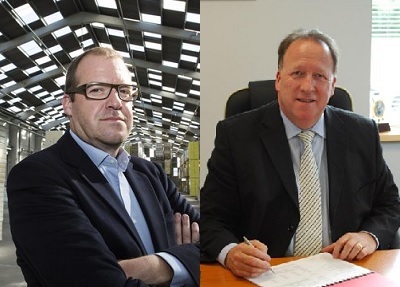 Mark Vandecruys, Chairman of Belgium-based Fedrus International, and Neil Lawrence, Chief Operating Officer of Jewson will join the previously announced speakers, David Young of Bradfords Building Supplies and Tony France of Ibstock Brick. Bringing a European dimension to the debate, Mark Vandecruys is the co-owner and Chairman of Fedrus International, an independent Belgian distributor specialising in roofing and façade materials. Over the last ten years, Mark has overseen the growth of the group from a small entity to a multinational business using a buy-and-build strategy. The company now comprises five operational units with total revenues of €650m and over 1550 employees. Mark also serves on the board of a number of companies, including BOSS paints. He is an alumni of Harvard Business School and is an Entrepreneur in Residence at Vlerick Business School, contributing to their development programmes and acting as a sounding board for their entrepreneurship department. Neil Lawrence is both Chief Operating Officer for Jewson and Managing Director for Local Merchant Group, the latter a division of Saint-Gobain Building Distribution UK & Ireland comprising the brands Gibbs & Dandy, Chadwicks, JP Corry, Normans, DHS, Benchmark Building Supplies, Matthew Charlton and Roger W Jones. Neil’s career in merchanting spans over 35 years, since he started working life as a yard hand at UBM, moving through various roles within that business before it was acquired by Jewson. He has experienced merchanting at every level, as a branch manager in Devon and Cornwall, an Area Director for the Midlands, and as Regional Director before joining the Jewson Main Board initially as Operations Director and then Sales & Operations Director. In 2011 he was appointed MD of Gibbs and Dandy, the Saint-Gobain division that became Local Merchant Group in 2013. He took up the COO role at Jewson in December 2018, shortly after he was honoured with the Lifetime Achievement Award at the Builders Merchants Awards for Excellence that year. Neil is also the merchant advisor to the BMF board. The BMF has confirmed the final speaker line up for its popular Industry Forum debate at this year’s All-Industry Conference. The BMF held an historic meeting consisting of members from across the island of Ireland gathered together for the first time last week. 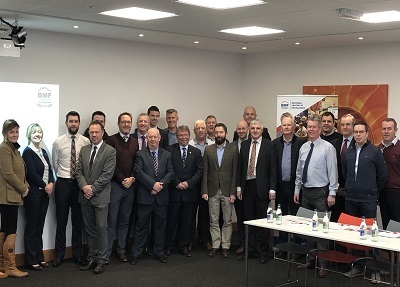 Twenty four delegates, representing 12 merchants and several building material suppliers from both the Republic of Ireland and Northern Ireland, attended the meeting at the BMF’s first Regional Centre of Excellence south of the border, at the Xtratherm Innovation Centre in Navan. The meeting, which was jointly chaired by David Haldane, BMF Regional Chair for Northern Ireland, and Dennis O’Connor, AMBA Chairman, focused on bringing together merchants and suppliers who shared a mutual interest in improving all aspects of their business including improving the customer experience and promoting awareness of the merchant industry, both as a career and to other industries such as architects and engineers. 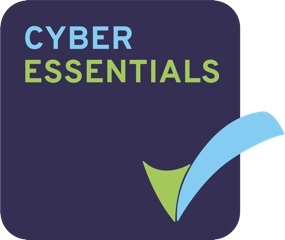 Other key areas of commonality included promotion of Health & Safety and responding to the challenges of on-line and “direct to market” competition which was followed by a presentation from eCommonsense on digital opportunities. Brexit and the border issue prompted further discussion, with BMF CEO John Newcomb providing an update from their recent Brexit Forum together with BMF Policy Officer, Brett Amphlett’s key tips on preparing for No Deal. 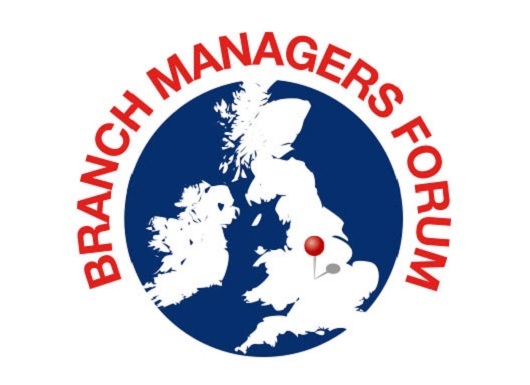 For information and to book your place on BMF regional meetings and Forums click here. The BMF has earned its tenth Award nomination this year, with its latest initiatives to engage with members and its use of social media being recognised in the prestigious Association Awards, which promote excellence in association leadership. The BMF is shortlisted in two categories, Best Membership Engagement and Best Social Media Campaign. 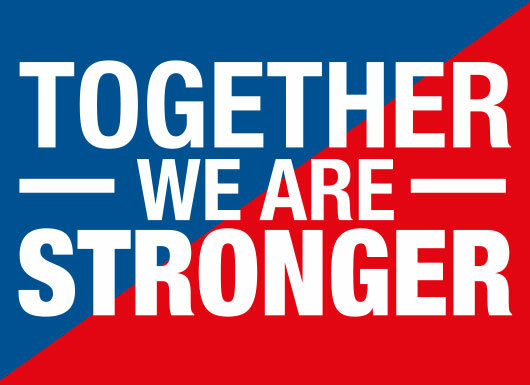 The first reflecting the BMF’s success in growing member numbers and broadening its appeal through the development of a wide range of Forums, and the second acknowledging its effective use of social media channels to broaden message reach and promote further engagement through the BMF website. 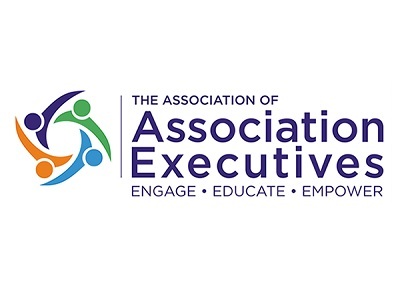 Run by the Association of Associations Executives, which has over 15,000 members throughout Europe, the Association Awards recognise excellence in leadership, development and service in membership organisations. The BMF is one of three shortlisted organisations in each of its shortlisted categories. The winners will be announced on 18th December.